Jedidiah Troyer just wants to start a farm and homestead on some affordable land in a new Amish community, but... what if the only good, cheap, available land was on another planet? So now Jed has signed up for an emigration program that is intent on colonizing the distant planet of New Pennsylvania. He faces a despotic government agency at war with rebels, the caprices of interstellar travel, a shadowy futuristic insurgency on his new planet, and more mysteries than he can count as he tries to fulfill his dream of owning his own farm. Space pioneering isn't as easy as it sounds when you're "plain." Things might work out for Jed... if he can ever get to his new home. Pennsylvania is a short story, 16,500 words (about forty five pages,) and it is the first in the planned Pennsylvania series which is intended to be a five part collection that will eventually make up the Pennsylvania novel. Hmm, science fiction plus Amish. Future speculation versus anachronism. 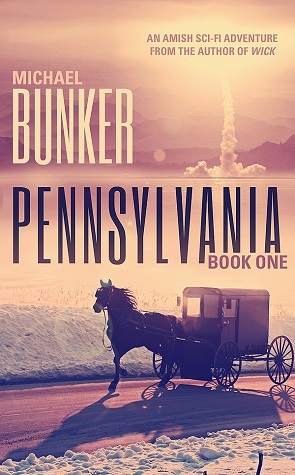 At first when I found out about Pennsylvania by Michael Bunker, I naturally assumed it had to be a satire; a poor man’s Hitchhiker’s Guide to the Galaxy, or something like that. How can a work of science fiction incorporate a people known, by religious ideology, to shun some technological advancement? So what I expected when I started reading and what it turned out to be were two different things. Michael spins a great yarn in Pennsylvania. Jed is the name of the protagonist in the story, a young Amish man that is destined for great things. His great thing is moving to New Pennsylvania, a foreign, alien world with as much promise as the foreign land his forefathers inhabited when settling in America. New Pennsylvania is the utopia, the land flowing with milk and honey. But as young Jed finds out, things are not always what they seem, especially in New Pennsylvania. It’s interesting to see how Michael relates Jed’s experiences to the reader. 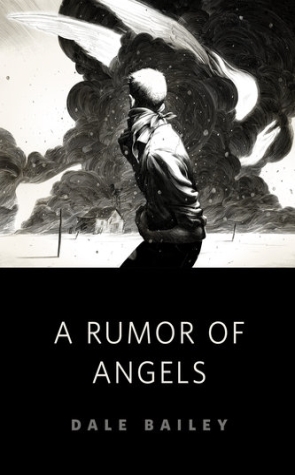 A wide-eyed, innocent Amish boy swept up in a world that is foreign to his comprehension. His reactions to situations carry the story along nicely and makes for an entertaining read. Many stories I read, especially Sci-Fi, typically contain one or two items that puts me off from the larger narrative, either religiously, morally, or ideologically. I’m not saying it’s wrong to do that. That’s the beauty of stories, that expression of varied ideas. What I’m saying is that it’s not often I read a story that I can so easily embrace. Pennsylvania is one of those few stories. There’s no cursing (it is an Amish protagonist, after all) and no sexual situations. To me, it’s the type of story that would fit well with younger adults and children, yet it’s not necessarily young adult literature. Plus, the cover is great. I mean, a horse and buggy with an ICBM (I think) launching in the background. You can’t beat that. Luckily I came across this short story on the heels of Michael releasing the second part to his story, Pennsylvania 2: Non-electric Boogaloo. This means that I don’t have to wait long before I can indulge myself in the continuing journey of Jed and his companions. I’m sure the quality of the next installment will equal the quality of the first. I’ll be the first to admit it: I have trouble with time-shift stories. I have a hard time keeping it all straight in my head. The first time I watched Back to the Future I had to make a map to follow the story. So when I powered up my trusty Kindle to read Linear Shift, I approached it with trepidation (and a pencil and paper). This is a novelette-sized story, approximately 13,000 words, and it involves time travel. Since this is the first installment and relatively short, there was no time travelling, so there was no need for my pencil and paper, yet. Like any good story, Part One of Linear Shift establishes characters and provides glimpses of the world they live in. For this story it is Peter, a down-and-out man with two kids to support. We learn about the miserable circumstances that he has dealt with for the past two years. Then we also see the unexpected chance offered to him, a chance to monetarily erase some of those previous bad circumstances. The reward is high, but the cost is higher. So he is faced with the dilemma of accepting the task, while knowing little of what is being asked of him. 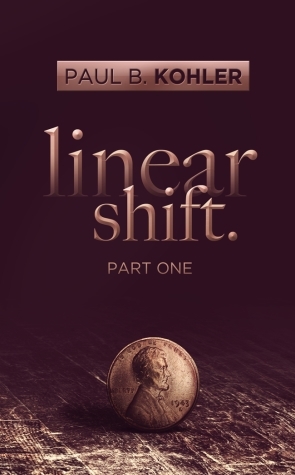 Paul B. Kohler does a good job of telling a story as he has done in Linear Shift. His characters are intriguing. In fact, I found myself at odds with his protagonist. Because of some of Peter’s decisions, I found myself not liking him very much. I’m not sure why, maybe because he is too believable. Kohler provides plenty of hints of what’s coming up. Seeing how he will unfold the story will be interesting. Linear Shift contains cursing and a couple of sexual references. Luckily, the sexual references are fleeting, and the author doesn’t dwell on them too much. If you enjoy time travel, looking for a new author, and searching for a quick sci-fi read, then consider checking out Linear Shift by Paul B. Kohler. You won’t be disappointed. Wren Harper lives on an overcrowded Earth on the brink of apocalypse. There are just too many people. The answer lies 600 light-years away on Kepler; a planet more than double the size of Earth. For decades humans have been fighting another race for its control. Earth’s armies are depleted. So now 15-year-old cadets are sent to fight, trained along the way in vast combat ships. But why has Wren been chosen? She's small and geeky and not a fighter. Will she survive Kepler? Or will the training kill her first? A debut novella-length episode in a series full of cliffhanger endings. First, let me say I don’t read Young Adult (YA) fiction. Typically. 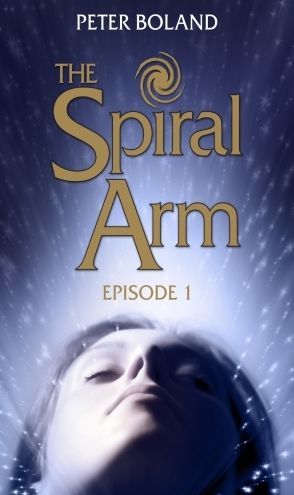 I found myself with a copy of The Spiral Arm in my hand (so to speak, on my kindle) and decided to read it, more out of obligation than desire. Now let me say the book contains aspects of YA that normally steers me away from that genre; young protagonists, bullying, understanding of situations, coming into their emotional own, etc… . What I didn’t expect was to enjoy the story. In the Spiral Arm, Earth is exploding in population and has sought other planets for colonization. One planet, Kepler, has proven as a good planet but has others (some aliens that Earth has been fighting) interested in it. That is the backdrop to the story. The story focuses on Wren, an awkward, self-conscious, wallflower type of girl. She is recruited–against her will–for the military and doesn’t understand why. It takes earthen vessels four years to reach the foreign planet, and during that time recruits are trained with military skills to continue the battle. So Wren is thrust in this situation. As she flounders, she meets other recruits, some friends, many enemies. Peter does a good job of laying Wren’s thoughts and actions out like an open book (pardon the pun). The narrative is first-person, so you get an in-depth understanding of Wren and why she thinks what she thinks and does what she does. It contains mild cursing and small amounts of violence (kids fighting) with minimal blood. This short story has a grand feel to it, like the beginning of a great space opera. It will be interesting to see how awkward Wren fits into the battle for Kepler.